That customer requirements are being met. Assist identifying and recommending the best sustainable solutions. We ensure that business and quality management systems are effective and support the organization’s objectives. With 35 years of experience in the medical device industry, and a passion to help build and grow successful businesses, it was time to make a change. Since 2015, Ron Makar, the owner and founder of Innovative Quality Consulting, LLC, has worked with several medical device companies in various capacities. In addition to his consulting work, he is an independent contractor for DEKRA Business Assurance (www.dekra.com), auditing clients for compliance to ISO 13485:2016 and ISO 9001:2015. Performed a quality management organizational capability assessment for a start-up combination products organization. Provided U.S. FDA Quality System Regulation compliance guidance to an international medical device company. Performed quality process and system assessment, process mapping and system improvement guidance and recommendations to promote a more effective service & repair operation for an international medical device company. As a member of a multi-member FDA compliance remediation project team, led efforts to bring into compliance supplier quality and purchasing process controls for an international medical device company headquartered in Japan. As a consultant team leader, was responsible to harmonize into a single management system, thirteen (13) globally diverse medical device and pharmaceutical product development processes. From quality systems auditing, to product development process redesign, to FDA remediation and corrective action activity, Ron has been able to help his clients develop better systems to meet their business objectives and quality and regulatory requirements. 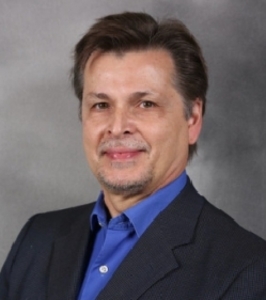 His professional background includes industry experience in in vitro diagnostic (IVD) medical devices, digital imaging systems, interventional devices, bio-based materials, and bio-polymer devices and delivery systems.